Picked this flag up today. 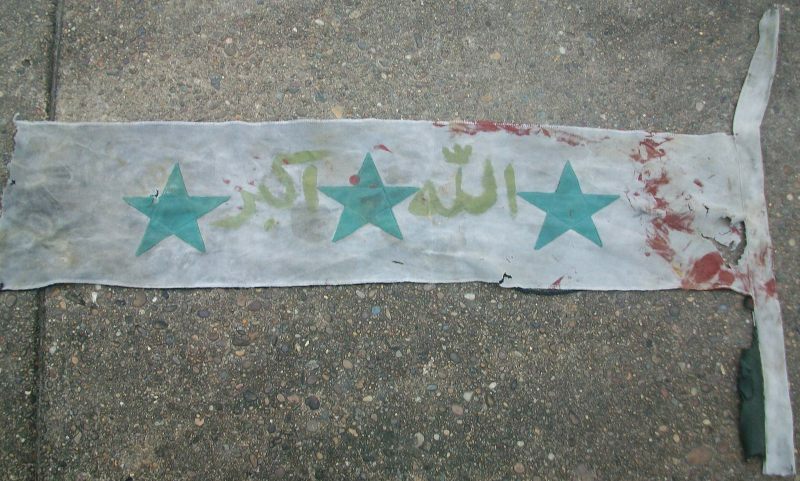 Looks like a typical Iraqi flag, but the Allah Ackbar is hand painted between the stars. The middle section is about all that is left of this piece. Black portion has been torn off and I assume the red part was too, but the seam is ripped where the red portion would have been. 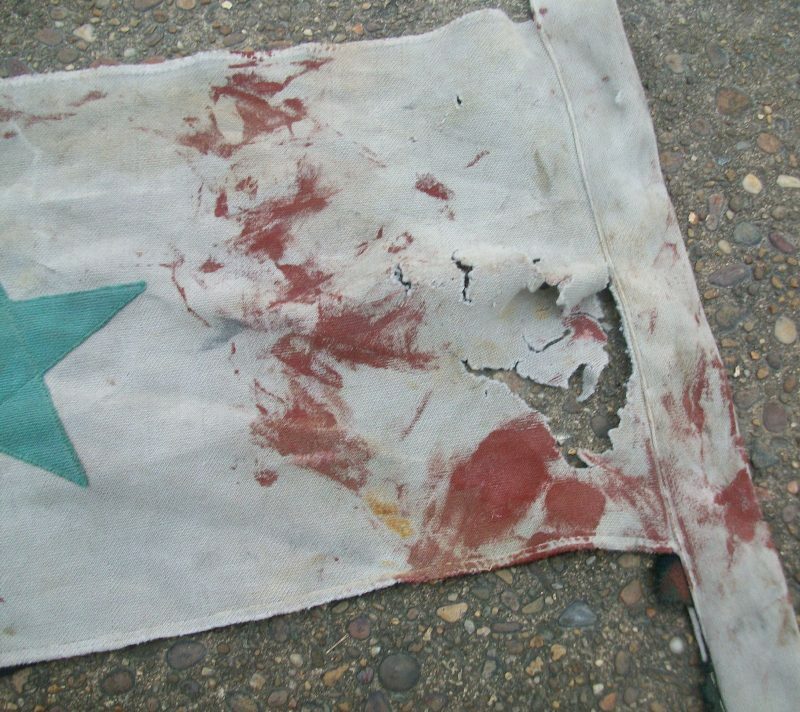 This flag has numerous holes and tears. The middle section should be white. As you can see from the photos, the white section is actually a shade of gray now. As far as the red stuff, I believe it is paint. That being said, I am not 100% sure. This flag does have some suspicious looking stains at the bottom. Forgot to add that my dogs sniffed this flag for about 20 minutes and my Goldendoodle tried to eat it!